It's Friday! Time for Book Club! Writing a review for this GEM of a novel will require a mix of stealth references and lots of writing about how the book makes me feel. Why? Because that’s the way that the author, Chris Cleave, wants it. I’m a good girl, so I’ll play along. This book is one of the best I’ve read in a while. While it isn’t funny and doesn’t have any romance, it managed to hook me within the first few pages. The book has no cover descriptions, so I didn’t know what to expect. Whoever made that decision was a freaking genius, though, because I would NEVER have picked it up had I known the subject matter. You need to read this book because Chris Cleave’s writing is bananas. I felt connections to each and every one of the characters; even the ones who are BLATANTLY WRONG in their actions. It’s kind of like winter garden, where there’s a surprise history/world injustice lesson, but it’s a lesson that (in my opinion) didn’t get nearly enough global attention. The bravery of two of the key three characters is nothing short of super-hero-ish. They’re the kind of characters you wish you could meet in real life and applaud. The best part is: they probably do exist, somewhere. That’s why this book is awesome. But my tears were mostly the kind I don’t mind shedding, as they came from being overwhelmed with the human spirit. Yes, there was one particular scene, which was so awful that I had to put the book down and take a break for a few days (and although I can get quite preachy about certain acts of violence being used for entertainment purposes, it was necessary to the plot) but aside from that, it was a quick read. So, pick up this book. Read it in the privacy of your own home. The last thing you want is some weirdo on public transit telling you which parts were their favourite. When you’re done, pass it on to someone else. This is a novel that’s meant to be shared. 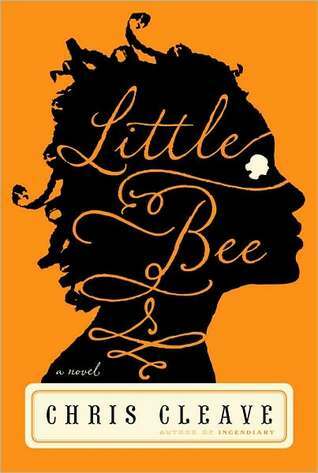 I read Little Bee last year. It's one of the best books I've ever read. Ever. You're right, his writing is INSANELY good and the character development is incredible. The story is heart wrenching and depressing, but also uplifting and inspiring. I've been recommending this book left and right to everyone. This sounds so good! I have it on my list of books to read. Cant wait to get to reading it now. Thanks for the review! Stevie - YAY! We liked the same book! ;) Chris Cleave really is a wonderful writer. It's crazy how well he was able to capture the dynamics of a SERIOUSLY complicated female relationship. It's like a real life (and much more intense) Chicken Soup for the Soul. Whit - "Kindleing" HA! If it's not a word now it'll probably be one later. Like "bootylicious". Wiz - It really is a fantastic book. Enjoy! I just bought this after reading your review. have I mentioned I love your book reviews!?!? :0 I DO! Can't wait to read this one. Thanks for the WONDERFUL compliment, Jenny! 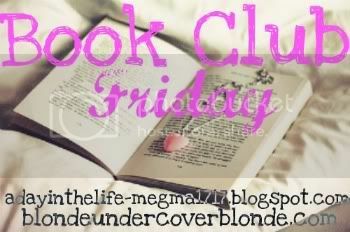 *tucks in back pocket* I love Book Club Fridays and all of the treasures people find! Let me know what you think of this one!